The United Kingdom of Great Britain and Northern Ireland (which is usually shortened to just the UK or United Kingdom) is a political union made up of four countries, England, Scotland, Wales and Northern Ireland. The country offers excellent higher-education system and hundreds of world-class universities promising a rich experience for international students. The colonial history of UK has made a multi-cultural society in the country since it has been subject to a multitude of international influences and influxes of people. The country has a significant place in the map of global literature, arts and sculpture. There are four distinct seasons to the UK; summer, winter, spring and autumn. Generally UK has a cold, wet and dreary weather. During the summer months, days are long (the sun generally rises at 4 am and will set at 9 or 10 pm at night) and one can expect warmer temperatures. The UK is highly advanced nation with excellent infrastructure sector and has a very good public transport system, with an extensive network of buses, planes and trains which simplify travelling. Low cost airlines facilitate an easiest option for travel in the UK and throughout most of Europe. Underground or tram system is a cheapest and cost effective means of transport at metropolitan area. The UK institutions consistently rank among the best in the world and qualifications are internationally valued and recognized.UK qualification will be a solid foundation for building your future, boosting your career and prospects for a higher salary. UK universities, colleges and schools will provide a vibrant, creative and challenging environment which can develop your potential. The teaching and study methodology used in the UK give you the freedom to be creative and develop skills sets and confidence. As a student you get the opportunity to be taught by the world's leading academics and experts; you also benefit from their constant academic support. International students are allowed to open a bank account in the UK, and some universities require their students to have a UK bank account. In any event, a bank account is very helpful to have in managing your finances,So you should plan to open a UK account. Travelers Checks are useful to make transactions in UK till you open a bank account in the country. It may take a few weeks of time to open a new UK account and transfer money into it from your home country bank account. For the international students most of the universities at UK provide on campus accommodation and also a variety of accommodation options are available to you. The college or university usually has halls of residence. If you are not offered on campus accommodation you can look for other accommodation options that will suit your monthly budget. Students choose to move into flats/houses in the second or third years of their campus life. If you do move into a flat or house, you will have to sign a tenancy agreement, which is a legal document outlining the terms of the tenancy. It will be better to seek the assistance of the international student advisor regarding the procedures. The most popular courses for Indian students in UK are in the postgraduate levels such as MBA, MS in Computing, engineering, Law, Arts, Literature etc. Career-based and pre-university courses- If you are on a career-based course you’re encouraged to take responsibility for your own studies with extensive support from tutors and lecturers. Undergraduate degree courses- During degree programmes, some specific elements will be compulsory but others will be optional, allowing you to tailor the course to your interests. The core topics of your course will be outlined to you through lectures. Postgraduate programmes -All postgraduate programmes require you to do a great deal of work on your own initiative. MBAs - Master of Business Administration (MBA) courses are a particularly intensive, challenging and rewarding form of taught postgraduate course. For postgraduate programs, most of the good universities ask for a first class or high second class. In the undergraduate level most of the good universities look for a 60 % or higher. There are many students who have been admitted to colleges at UK with a second-class degree.. There are cases where significant work experience is considered lieu to a Bachelor’s degree. International English Language Testing System is normally known as IELTS which is administered by University of Cambridge Local Examination Syndicate (UCLES) , British Council and IDP Education Australia. The score of IELTS is valid for 2 years. The test fee comprises Rs. 11,800/. For more info visit the official website at www.britishcouncil.org or www.ieltsindia.com. Students can make registration either in person or by mail. For UK student visa, applications have to be made on IM2A forms, which are available, free of cost at the British Embassies. Along with Visa application fee and the required documents the application has to be submitted to the embassy. You must intend to study at a publicly funded university or college, or a bonafide private institution or a fee-paying independent school. You must not intend to work in UK unless you are accepted for a course lasting longer than six months, when you may work part-time or during vacations.You must intend to leave UK at the end of your studies. A letter of acceptance on the course. This is the letter from your institution confirming that a place has been offered to you and that the course is full-time as defined by the immigration law. Evidence that you can pay the course fees and support yourself and your family, if applicable. The student has to attend the Interview with the ECO, clarifying certain parts of your application. You must be able to convince him/her that your study plans are genuine and workable. Unfortunately British universities do not provide any scholarships for average Indian Students, with very rare exceptions in Doctorate level. Some universities may give students with good or exceptional backgrounds, a part tuition fee waiver. Some universities give discounts of 1000 - 1500 Pounds to students with good academic backgrounds. Though financial aid is very little for international students, there are certain scholarships offered for study in UK managed by the British Council and other institutions. British Chevening Scholarships, Commonwealth Scholarships and Fellowships, Dr Manmohan Singh Scholarships are some of the scholarships offered for post doctoral and research studies at UK. Students are permitted to work 20 hours per week during the course. It is not difficult to find some part time jobs to supplement your living expenses. Future Job prospects for students are limited in UK and obtaining a work permit to stay back after studies is comparatively difficult. However, British degrees are valued and recognized all over the world, especially in India and the Middle East. These degrees provide a cutting edge for employment prospects. Most of the UK universities and colleges ask the student to pay a part of the tuition fee in advance as deposit before attending the Visa. When Should The Next Installment Of Tuition Fees Be Paid ? Is The Student Allowed To Work Part Time? Yes, the student is allowed to work legally 20 hours per week on a part time basis. Is Gmat Score & Work Experience Necessary? For some Universities work experience is mandatory, while GMAT is recommended. What Are Prerequisites Of Getting Into MBA? 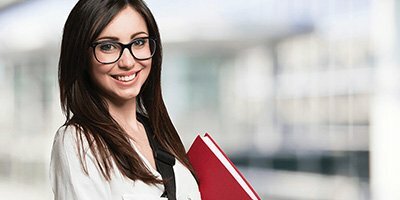 I Am B.com Graduate I.e., I Have Only 15 Years Of Education Can I Enter Into MBA? Is There Any Scholarship Facility Available For International Students? There are very few universities, which offer some kind of bursary in the form of tuition waiver for the students who qualify. It could be around 1000 -5000. Is There Any Ranking Given To UK Universities? No, there is no official ranking of Universities. Recommendation would depend on your qualifications, grades and courses one wishes to apply to as each institution has different entry requirements. What Is The Duration Of The Masters Programs In UK? What Are The General Requirements To Get The Admission? Minimum 55% in academics with TOEFL of 213+ or IELTS of 6.0. For MBA a student needs to have 2-3 years of full time work experience at managerial cadre. What Is The Visa Procedure ? 1)	Completed visa application form (IM2A) with two passport size photographs. 2)	Valid passport (in original). It takes approximately 10-15 working days to get a student visa. For How Long Is The UK Visa Given? Once The Visa Has Been Refused Can The Student Attend Again? Yes, Student can attend any number of times…but need to have a new CAS every time. What Is The Best Time To Attend The Visa? Is There Any Pick Up And Accommodation Facility Provided At UK? Many universities provide ‘Meet & Greet Services’ during the orientation period.